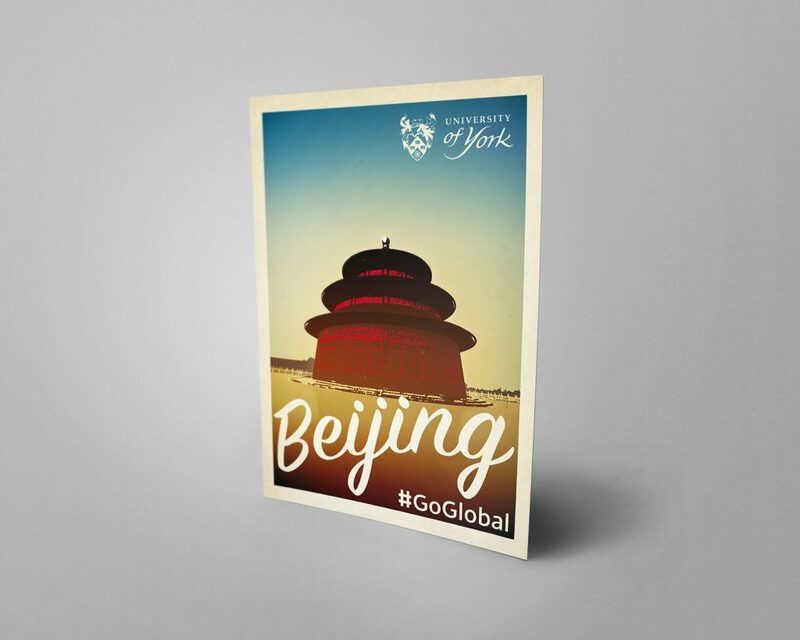 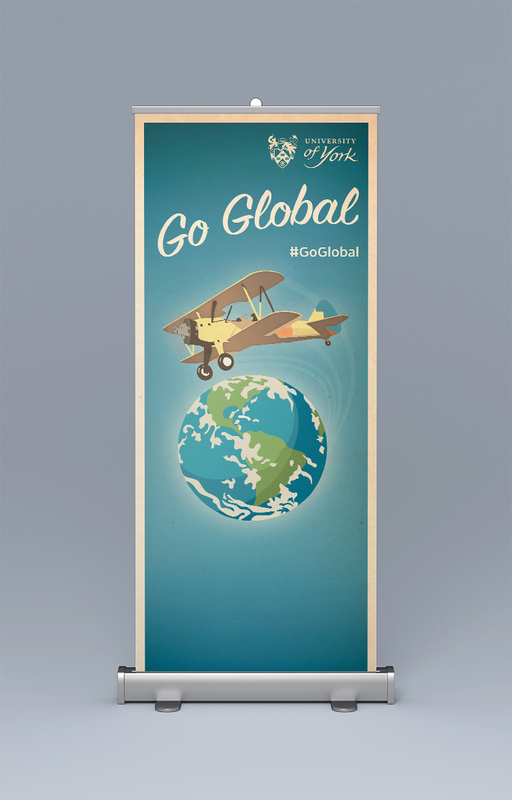 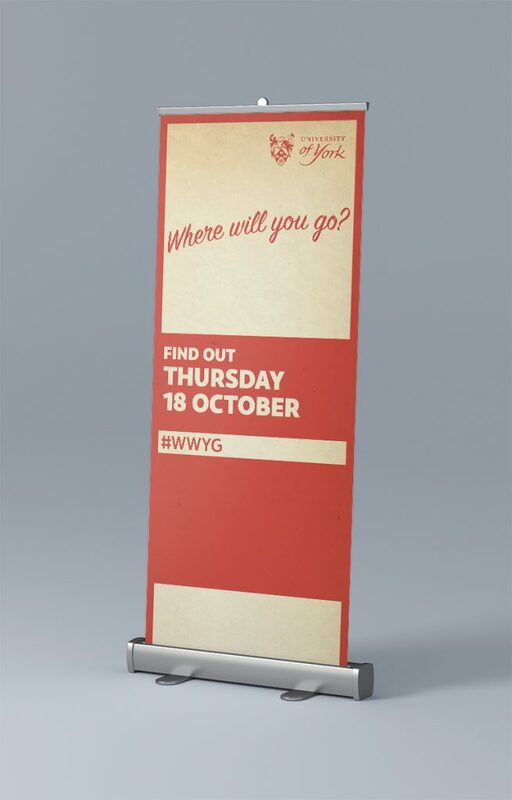 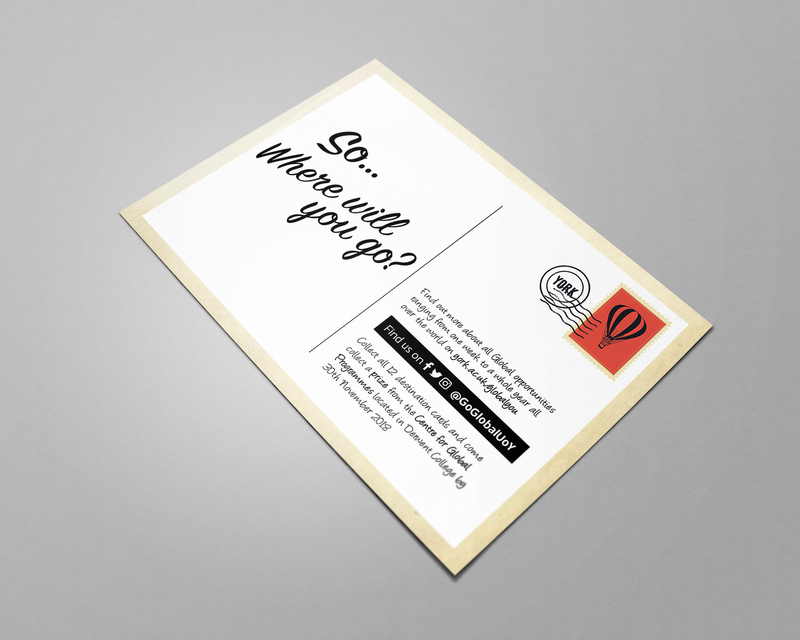 Working with the Centre for Global Programmes at the University of York we designed a campaign to promote potential destinations for year abroad students and exchange students. 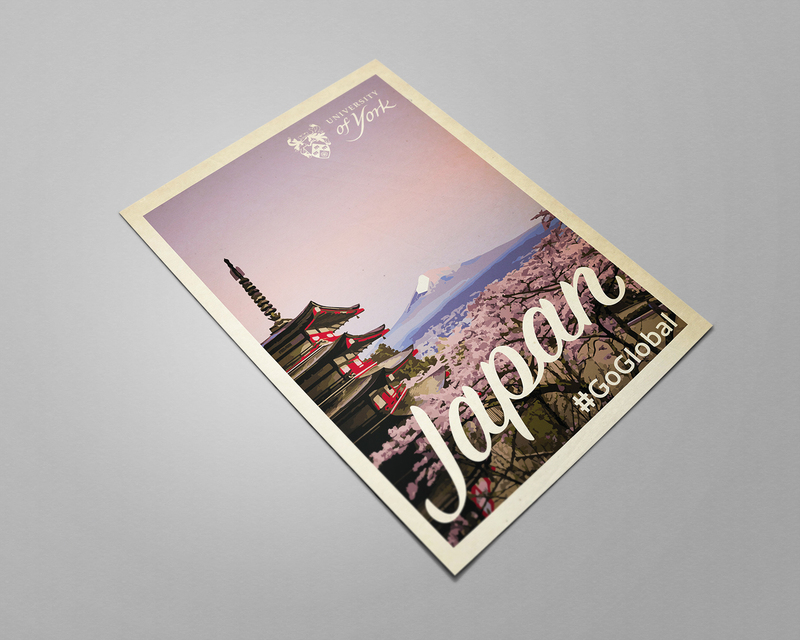 This campaign utilised striking typography to create simple intriguing designs. 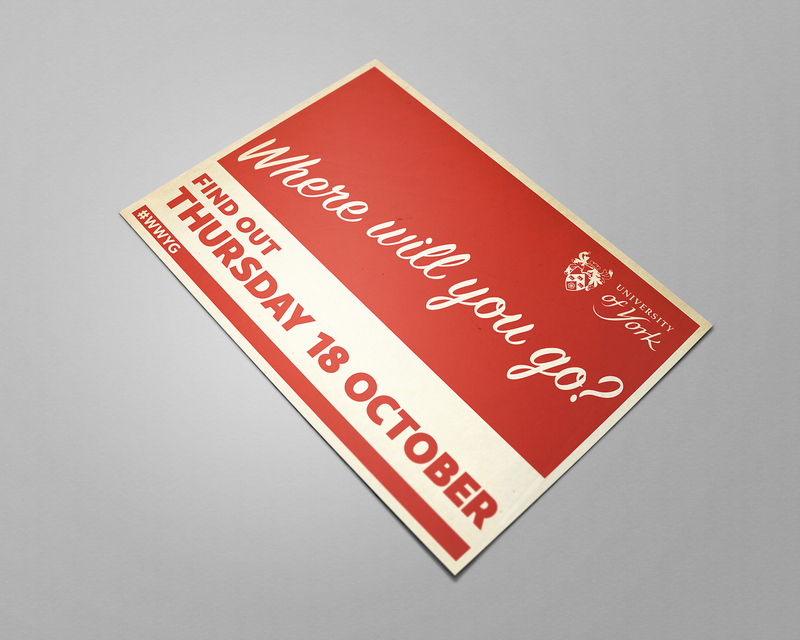 Our inspiring concepts were used to develop teaser posters, floor stickers and roller banners to promote the campaign pre-launch. 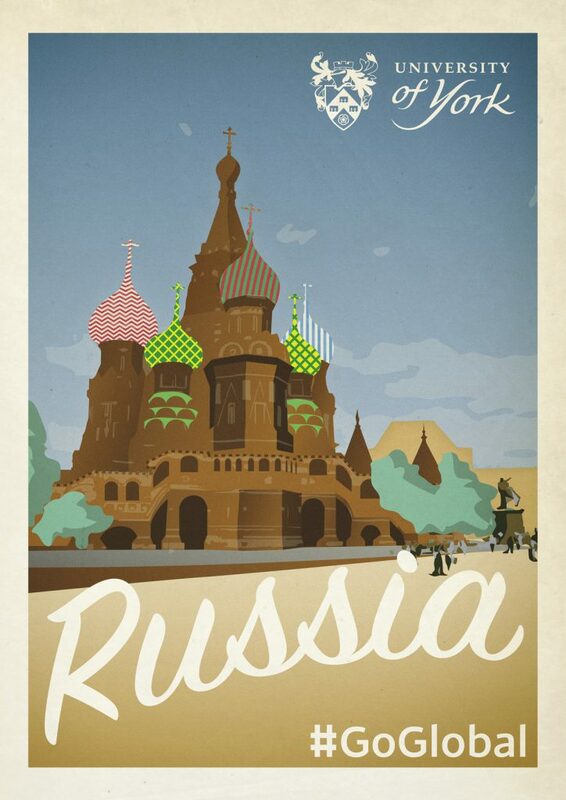 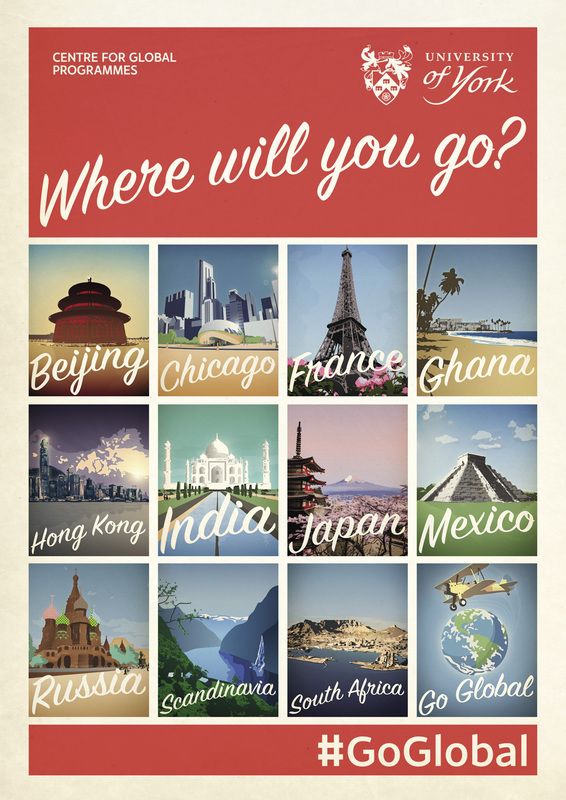 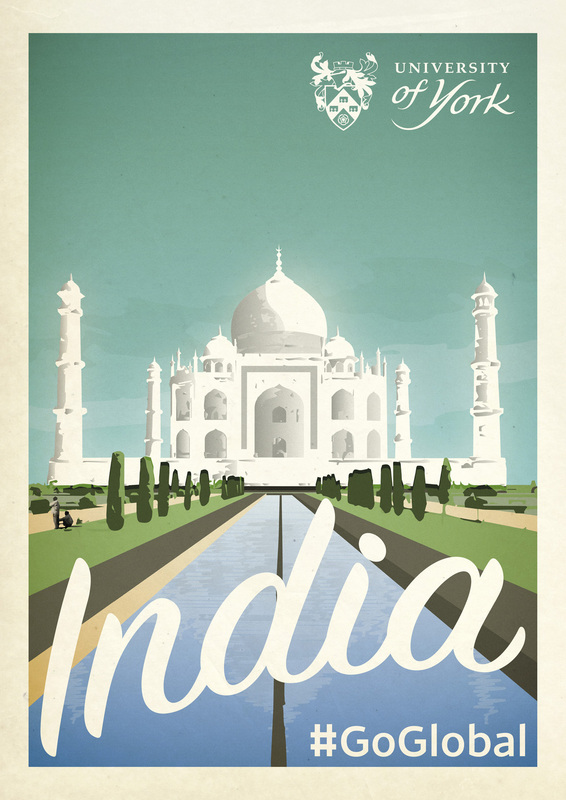 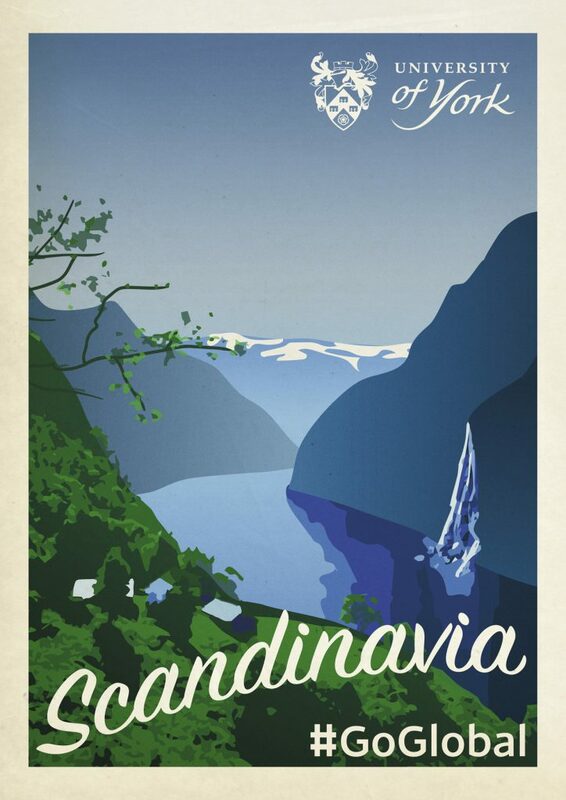 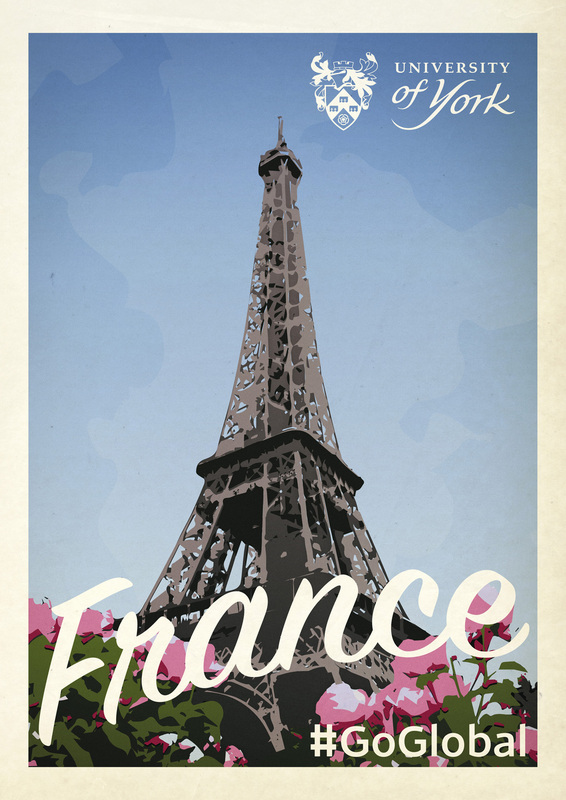 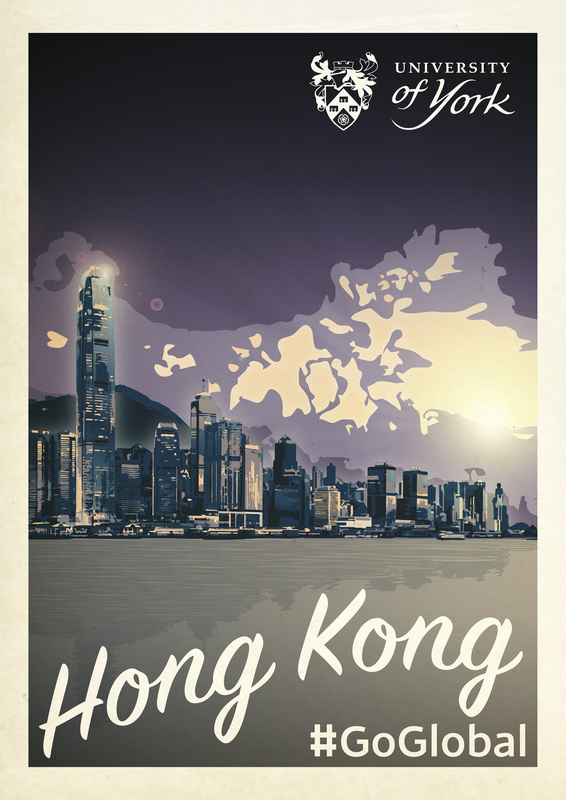 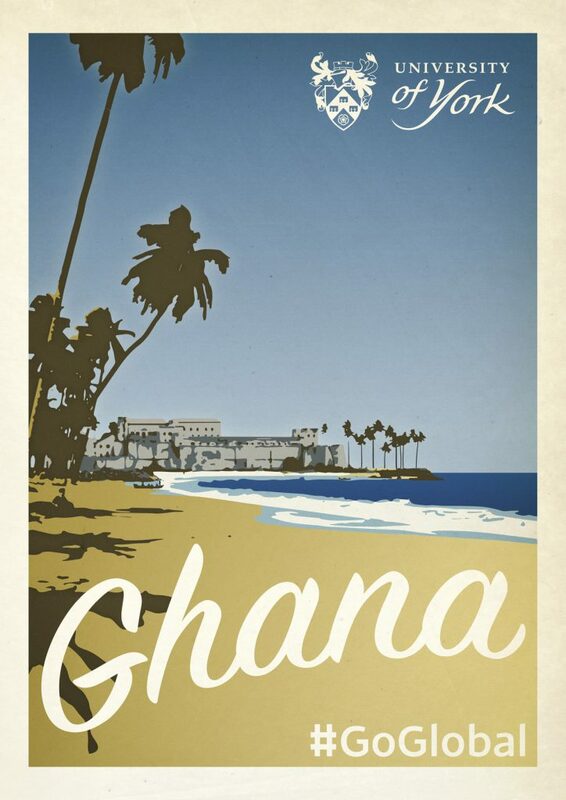 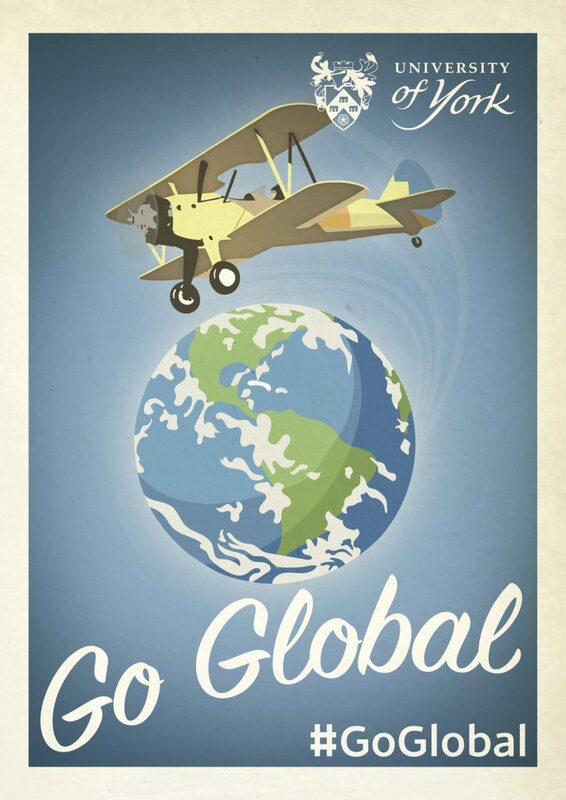 This campaign used bespoke illustrations to highlight the exciting travel opportunities provided by the scheme. 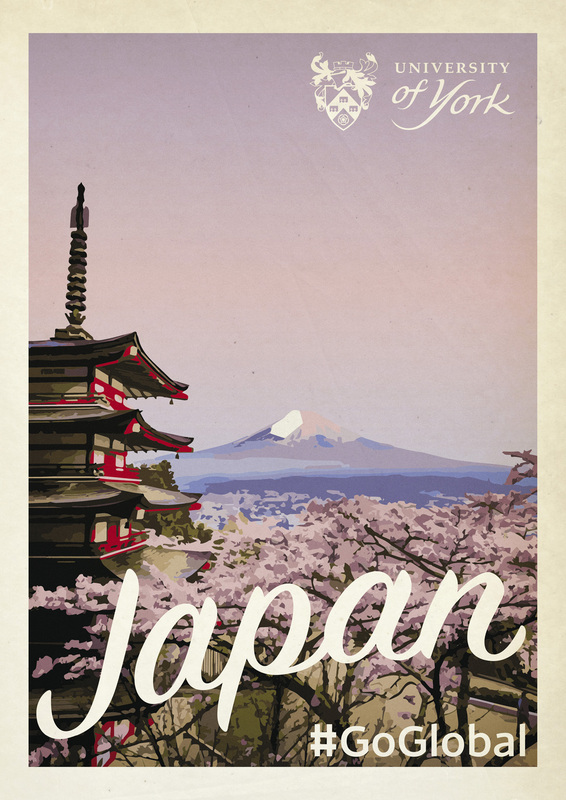 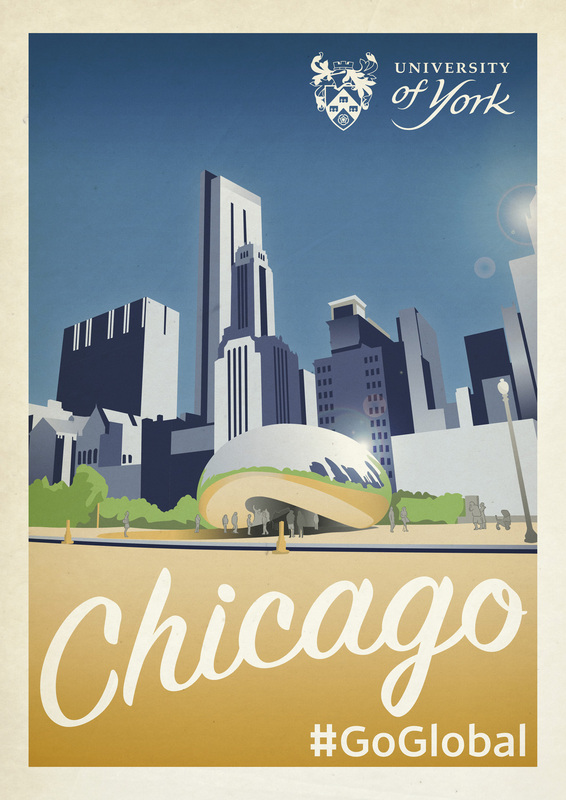 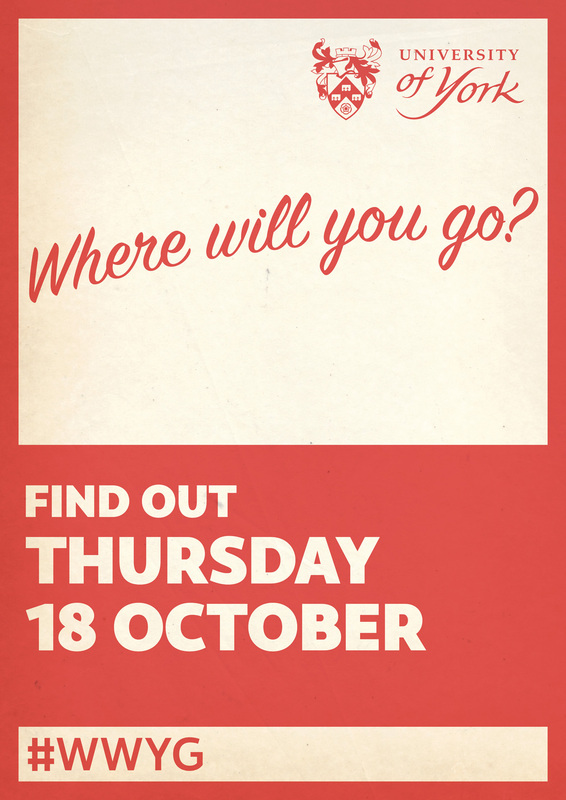 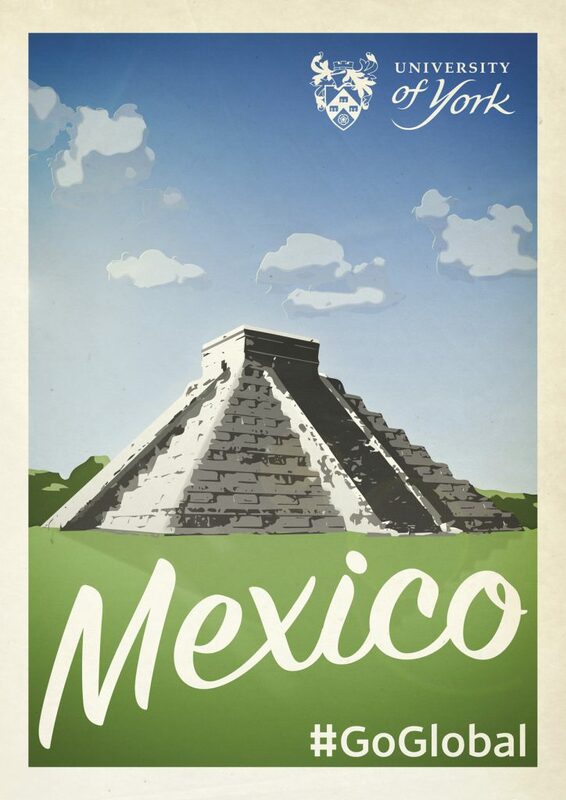 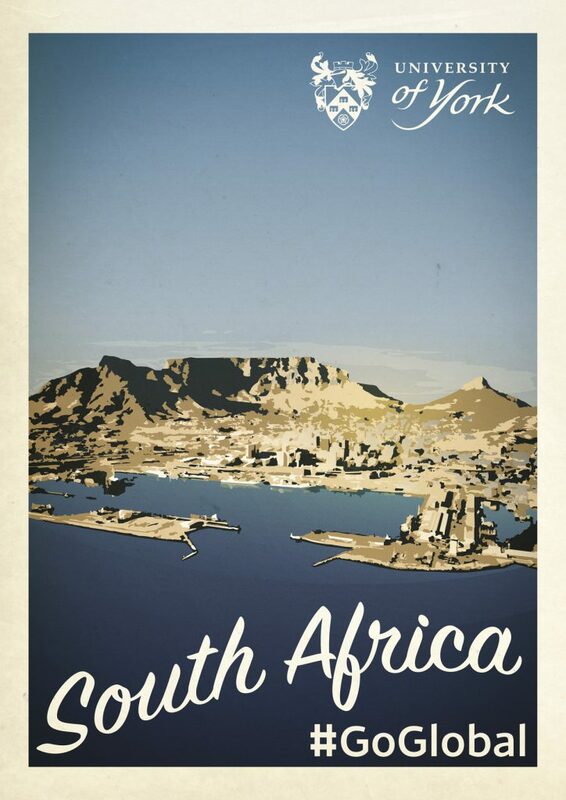 The campaign was Inspired by 1960s railway posters. 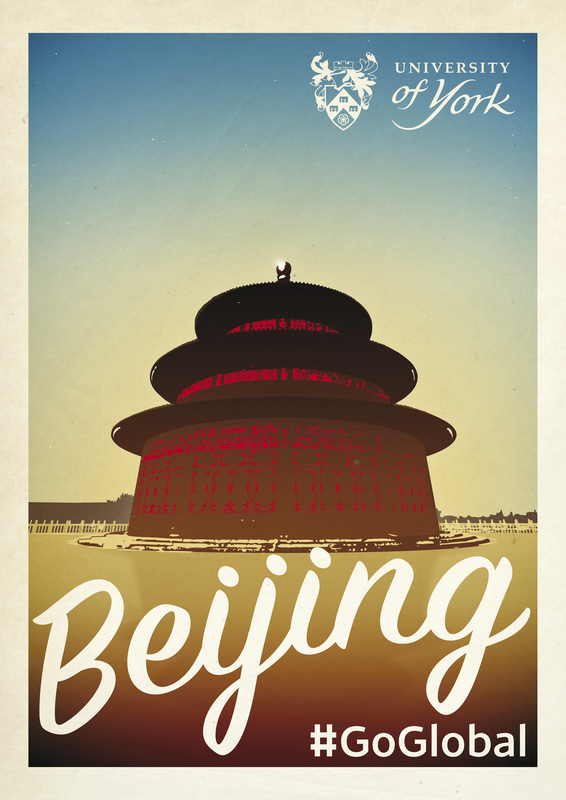 Our digitally drawn illustrations take iconic stylised structures such as the Eiffel Tower, Cloudwater Gate and the Temple of Heaven to create eye catching designs which are instantly recognisable. 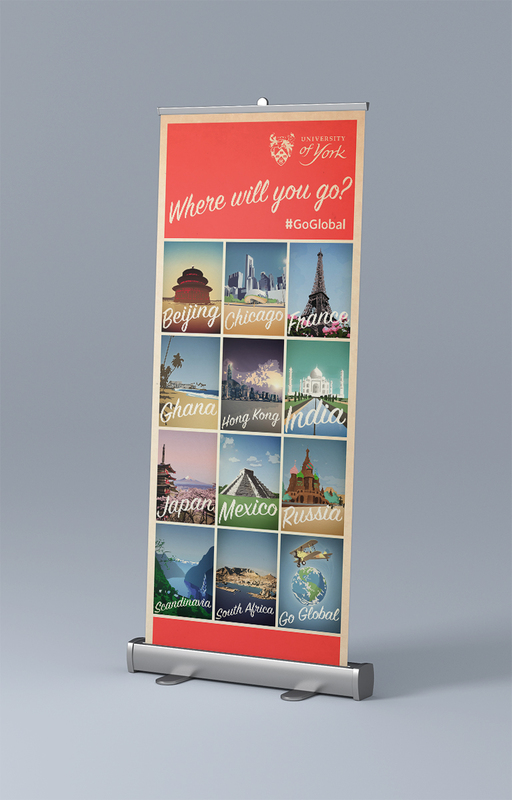 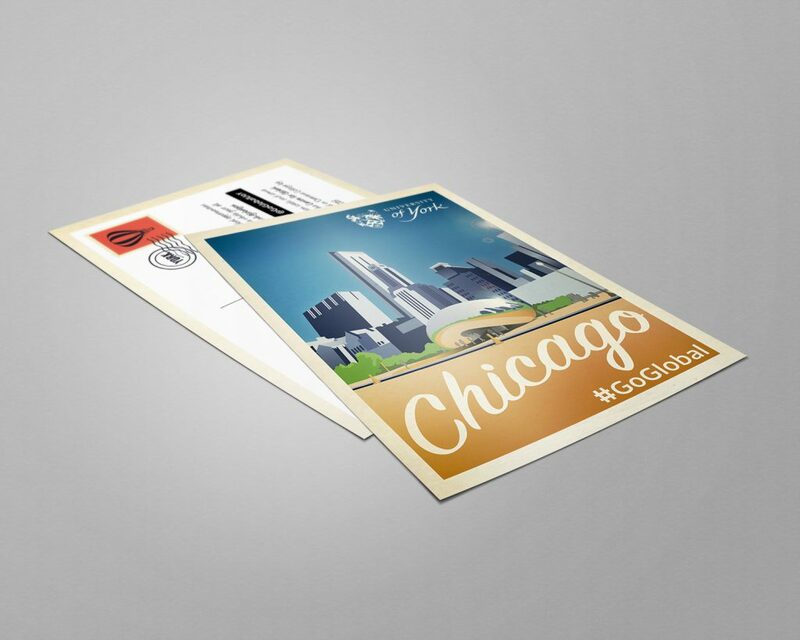 The artwork was adapted to be used on roller banners, floor stickers and on printed postcards as part of their student-targeted marketing campaign.